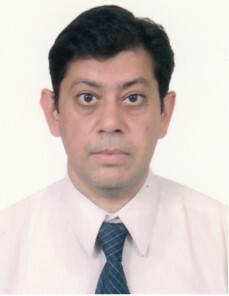 Dr. Anshuman Gupta has over 18+ years of experience in the overall data & decision science and business consulting domain. An industry and academia recognized thought leader, he has published over 25 papers in various peer reviewed international journals and these papers have received over 1000+ citations. His areas of expertise include predictive/prescriptive modeling, machine learning, text mining/natural language processing and Cognitive Computing/AI. He has lead analytics engagements in domains ranging from supply chain management, customer churn prediction, cross-sell/up-sell modeling to M2M analytics in IoT as well as pharmaceutical R&D planning and bioinformatics. Dr. Gupta has deep expertise in leading organizations through the digital transformation journey and creating tangible business value and analytics driven ROI. He has cross-industry experience in verticals ranging from retail, CPG, Chemical & Manufacturing to BFSI, Media & Entertainment, and Technology. Dr. Gupta has presented his work in numerous global meetings & forums. Prior to Cognizant Analytics, he was Vice President (Data Science) at Indicus Analytics (A Nielsen Company) where he lead the development of multiple IP lead products in the geo-spatial analytics domain. Dr. Gupta received his dual doctoral degree in Chemical Engineering & Operations Research from The Pennsylvania State University, USA and his B. Tech. in Chemical Engineering from IIT Bombay.